Moe Satt (b. 1983), lives and works as an artist and curator in Yangon, Myanmar. Moe started creating art after graduating from East Yangon University in Myanmar with a degree in Zoology in 2005. 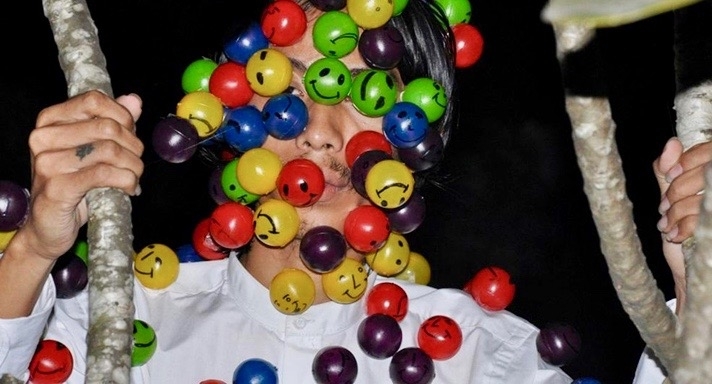 Part of a new generation of emerging Burmese artists, Satt founded Beyond Pressure in 2008, an international festival of Performance Art in Myanmar. He has participated in Live Art festivals throughout Asia and Europe and has been invited to serve as the resident artist at several locations including Rimbun Dahan (Malaysia, 2008), International Residence at Recollets (Paris, 2015), IASPIA (Sweden, 2016), and ACC (New York, 2017). His work has been included in several major exhibitions, including the Busan Biennale (2012), CAFA Biennale (Beijing, 2013), Concept Context Contestation: Collective-Driven Art In Southeast Asia (Bangkok, 2013), and The Journal of the Plague Year (South Korea, 2014). An Age of Our Own Making (Roskilde , 2016), Political Acts_ Pioneers of performance art in Asia (Melbourne, 2017). 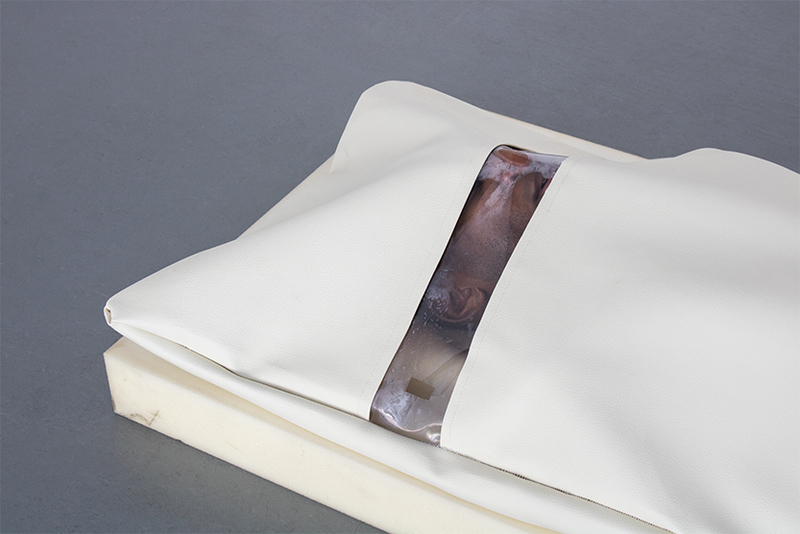 Moe Satt was a finalist for the Hugo Boss Asia Art Award 2015. Moe Satt is currently the Jackman Goldwasser Resident Artist at Hyde Park Art Center and his participation in this exhibition is made possible in partnership with Hyde Park Art Center and the Asian Cultural Council. Maryam Taghavi is a Tehran-born artist currently living and working in Chicago. She makes photographs, installations, videos, publications, and performances that are characterized by their ephemeral nature. She graduated with an MFA in Performance from The School of the Art Institute of Chicago where she was the recipient of the New Artist Society Scholarship. She has performed and exhibited at venues such as Queens Museums in NY, LAXART in LA, Ex Teresa Museum in Mexico City, Xpace in Toronto, and Sazmanab in Tehran. Cameron Clayborn is a conceptual sculptor, designer, performance artist, and community organizer. Clayborn created their personal brand bôdēbuilder in 2017. As a bôdēbuilder, Clayborn's practice works as a conglomerate that produces designed objects, performances, and events that focus on self care and exercise of their black queer body. Clayborn received their BFA from the School of the Art Institute of Chicago in 2016, has been a resident at Chicago Artist Coalition as part of HATCH Projects, exhibited and performed at Boyfriends, Chicago Artist Coalition, Chicago Art Department, Links Hall, Archer Ballroom Projects, and Tritriangle. Clayborn hosts and manages events at an artist run space named Fat City in Bridgeport and maintains a studio at Hyde Park Art Center. The performance for Inaugural is titled Substance (Performance 1), a video installation with performance that acts as an ongoing personal archive surveying the evolution of the artist’s identity and self descriptors. Defibrillator Gallery was formed in 2010 as a platform for performance art. Contextualizing performance within visual art, Defibrillator embraces those who look to the body in concert and conversation with time, space, object, architecture, or society. Courageous programming aims to provoke thought and stimulate discourse surrounding underrepresented voices and time-based forms of expression. Boldly confronting expectations about performance art, Defibrillator is dedicated to fostering local talent while invigorating Chicago with artists of exceptional calibre from around the world. Actively contributing to a global dialog surrounding conceptual, ephemeral, or enigmatic forms of expression, a rigorous exhibition schedule involves weekly live art eight months of the year and, in June, the international performance art festival, Rapid Pulse. Defibrillator Gallery (a.k.a. DFBRL8R or ‘dfb’) is a non-profit tax-exempt 501c3 arts organization based in Chicago, Illinois.